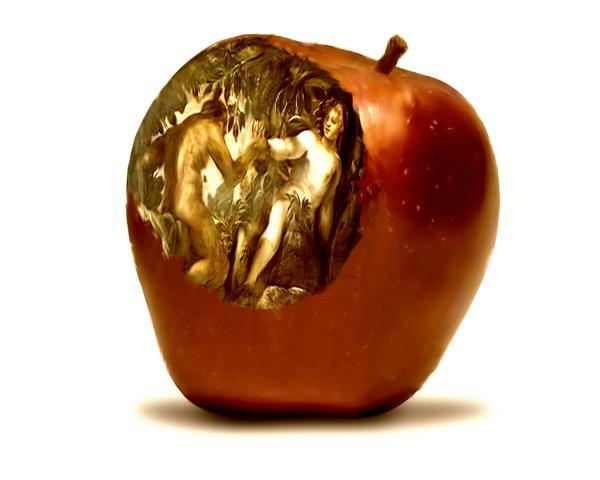 Is there such a thing as original sin? I can think of little else more horrifyingly unjust than to send an innocent child, a newborn even, to an everlasting, godless existence in hell. A babe just out of the womb, or maybe not even seeing the light of day, banished to eternal darkness and separation from God for no fault of its own. Or a toddler, a sweet little boy or girl who learns and loves and trusts and doesn’t yet know right from wrong, condemned to eternal punishment simply for being human. Yet that is the inescapable reality one must accept if holding to the traditional teaching of original sin as developed by some Church fathers including Augustine, Martin Luther, and John Calvin. And it is, I believe, one of the most formidable stumbling blocks to faith in Christ. Why would anyone want to believe in a God who sends innocent babies to hell? I wouldn’t. Now, I’m not a theologian, and I shudder at times when I consider that I am opposing the likes of Augustine, Luther, and Calvin. These were great men of God whom he used for his purposes…gifted theologians with wisdom and insight far beyond my best efforts, and Christianity is greatly indebted to them. But they were fallible men subject to error. Though we stand on the shoulders, so to speak, of those who went before us, it’s imperative that we resist the temptation to equate their writings with Scripture. So to any unbeliever for whom the doctrine of original sin is a stumbling block, I say, if you’re understanding of it is as I’ve described above, know that it is not a core doctrine of the faith and, in fact, is and has been rejected as such by many Christians, great and small. It is a doctrine that was deduced and developed after the time of the apostles and the completion of the biblical writings. Though its proponents interpret certain Scriptural passages as teaching the doctrine, it is not at all clearly seen in them. One passage in particular that’s frequently mentioned as teaching original sin is quite obviously not when the context and literary style are taken into consideration. Psalm 51 is David’s confession and lament before God over his sin with Bathsheba. In verse 5 he writes, “Behold, I was brought forth in iniquity, and in sin did my mother conceive me.” As the Psalms are poetic in style, it’s relatively easy to recognize that David, in an effort to express the enormity of his grief over his sin, describes himself as sinful from birth. It’s not a doctrinal statement but exaggeration as a literary device. If we are to take this as teaching guilt from the womb, we must also interpret Psalm 58:3 – “The wicked are estranged from the womb; they go astray from birth, speaking lies.” – as depicting fully cognizant, verbally expressive newborns. But here again, it’s clear that the author is using hyperbole to communicate something very grave and great in measure. Other passages, like Romans 5:12-19, are more difficult to understand, but the point is that Christians disagree on their meaning, and a doctrine of original, or inherited, or ancestral sin, that says because Adam sinned we all sinned with him, and are guilty of condemnation simply by being of the human species, is not part of the core Christian dogma. Now, there is another understanding of original sin that says we are all born with a sin nature. We have a propensity to sin that will eventually be actualized, at which point we become culpable, but not before. I believe there’s more Scriptural support for this, as well as experiential evidence. We all know how natural it is for us to go our own way and do our own thing without regard for God or others. Hi Caroline, nice to e-meet you. 🙂 I like your stuff (just perusing). Here are my thoughts: the doctrine of Original Sin doesn’t have to lead to the idea of babies or toddlers being thrown in hell (I have three and one on the way). The secret things belong to the Lord, the thing revealed belong to us. But, if we are by nature children of wrath then our problem is first and foremost a nature issue. The heart is deceitful and desperately wicked. Even after rebirth, we still struggle with the waywardness of our hearts. In my opinion, Original Sin sheds more light on the necessity of the cross. …and I just read your 2nd to last paragraph. That’s the definition I lean more heavily on but I’m not uncomfortable with the understanding that we sinned in Adam. Here’s why: if I am uncomfortable with Adam’s disobedience making me a sinner, I cannot truly appreciate the last Adam’s obedience making me righteous. Certainly, this is not a palatable doctrine in a Western setting where individualism and personal freedom are values. But, all cultures have their stumbling blocks to Christianity (e.g. The term “Son of God” is nails on chalkboard to Muslims). I’m certainly not intending to convey that you are resisting the Gospel. But, it is nonetheless a significant doctrine with implications if true or untrue. Grace to you. Hello, Clint, and thank you for reading and commenting. “E-meet”…I like that. 🙂 I’m a bit confused about your beliefs regarding original sin. You seem to accept the teaching that we each “sinned in Adam” so, as I understand that, are deserving of condemnation at birth. But you don’t believe it necessarily follows that babies are condemned. What do you believe happens to them if they die before they actually commit sin themselves and are too young to believe in Jesus? Thanks for the reply and graciousness. Now, let me preface this by acknowledging that parents who have lost children or miscarried (we lost our 2nd in pregnancy) should be comforted, hugged and cried with. I don’t think a theological argument as to whether children are condemned or justified is appropriate or necessary in sensitive times. We should point to a good and merciful God who can be trusted in all circumstances. Here’s my main answer (or non-answer?) to what happens to children too young to believe in Jesus. Whatever does happen, all will say that God is good, just and far more merciful than He should have been. The Scriptures are clear that not one is righteous (Rom 3:10), the wicked are estranged and go astray from birth (Psa 58:3), and we could say that before birth we were called rebels (Isa. 48:8). It also says that our natural birth is not enough for anyone to see the kingdom of heaven (Jn 3:3). We see that God’s judgment during Noah’s days did not spare children, nor did God’s commandments to destroy the peoples dwelling in Canaan. But we also see that David was confident of seeing his dead child again (2Sa 12:23) and we see Jesus’ affection for and words about children in the Gospels. There is tension between those two truths that I do not think we are at liberty to explain away or reduce to a palatable answer. We should avoid going “beyond what is written” (1Co 4:6). We risk more, in my opinion, by denying original sin than we gain by confidently putting deceased children in heaven at its expense. This I know: my toddlers are in as much desperate need for the Gospel as I am. If God should take any of them before they have an opportunity to understand and respond to the Gospel, I must trust in the character of a just and gracious God. Thank you for your thoughtful response, brother. I agree that at the point where we really can’t understand, we can and should refer to what we know about God’s mercy and justice, goodness and love. But it’s precisely because of God’s character that I can’t accept a doctrine that condemns innocent children to hell, or any who are unable to understand right and wrong and incapable of putting their trust in Christ. I just don’t see any way that can NOT be in opposition to what we know of God. I’m glad you quoted Scripture because, of course, that’s where we find our answers. But what may be clear to one may not be to another, though both have the Spirit of God. His Word doesn’t change, but our understanding of it can and frequently does as we study it. I believe it is more than reasonable to interpret passages like in Psalms 14 and 53, from which Romans 3:10-12 is taken, as referring solely to individuals at or past the age of accountability. To adults, really. I think this was simply understood. And one of the reasons I do is the absence (at least to my knowledge) of any Scriptural reference to this particular conundrum. One would expect, since it’s such a disturbing concept, that the condemnation of babies if true, or even suspected, would have been addressed. Other Scriptures, like the one you cited from 2 Samuel, also contribute to my understanding that children are excluded from certain condemning passages. Deuteronomy 1:39 says, “ And as for your little ones, who you said would become a prey, and your children, who today have no knowledge of good or evil, they shall go in there. And to them I will give it, and they shall possess it.” God did not hold the children accountable for unbelief, as a group, when he punished their parents. It doesn’t necessarily follow from this passage alone that children are without any “stain” of sin, but I believe when taken with others like Ezekiel 16:20-21 where God refers to little ones as “my children” and Jesus’ depictions of children as such to whom the kingdom of heaven belong, it supports a view that children are innocent in God’s sight. Psalm 58:3 I referenced above as poetic imagery, otherwise we should expect that infants come out of the womb with language and the ability to distinguish truth from lies. Isaiah 48:8 is addressed to the nation of Israel and I believe is referencing God’s foreknowledge of their rebellion. And reading John 3 in context, we see Jesus talking about the necessity of believing in him, and people doing wicked things and coming or not coming to the light. Things that little children are incapable of. So I believe here also only those with the “knowledge of good or evil” are included. Caroline, I’m not really concerned about the eternal destiny of children. I leave that in the hands of God, who, in my opinion, has spoken little to nothing about it. But, I know I can trust Him to be far more just and merciful than I am capable of being. If all children are in heaven then we will rejoice at His mercy. If not, we will still rejoice. Sometimes I am curious if our Western sentiments and lust for certainty keep us from appreciating the secret things that belong to the LORD. The children you referenced in Deuteronomy certainly were innocent of the cowardice and faithlessness of their parents. But, this does not speak to the innocence of children in general. All children have a human heart–one that is deceitful and desperately wicked (Jer. 17:9). Children are capable of great evil. Remember that 42 little children bullied a prophet and were slaughtered by bears for it (2Kgs 2:23-24). Neither does reason seem to allow for the innocence of children. I’ve not had to teach my toddlers defiance, lying or selfishness. I expect that the other two will come with the same features–such is the nature of humanity. My concern is really with the Gospel. If one trespass did not really lead to condemnation for all people then how can we be certain that Jesus’ one act of righteousness leads to justification for anyone? If Adam’s disobedience did not make anyone sinners then should we be questioning whether Christ’s obedience will make anyone righteous? The roots of sin are deeper than the bad choices we make. Our very nature has been corrupted. Apart from the grace of God we are children of wrath by nature. Certainly, very small children are incapable of properly responding to the Gospel. But, I don’t think we should deny original sin so we can confidently put them in heaven. All children are desperately in need of the Gospel. Many have been unconcerned about the souls of children because of the denial of original sin and the unbiblical (in my opinion) doctrine of the “age of accountability.” I just don’t think God has given us that liberty. A good Sunday morning to you, Clint. I can tell that you are concerned about God’s honor and glory, and so am I. We may continue to disagree about this issue but I am confident that our mutual desire to exalt him will guard us against contention. To address your comments then…it’s not a “lust for certainty” that motivates my beliefs about original sin and the destiny of children. It’s a “lust,” if you will, for truth and for God to be known and glorified. And the very idea of children being condemned to hell is so contrary to God’s justice, mercy, and love as to be simply out of the question to me. I accept that we can’t know everything, but I believe God allows and expects us to make reasonable inferences from what he has revealed. So I believe it’s reasonable to understand verses like Jeremiah 17:9 in context as his lament about man’s inclination to evil, but not as doctrine about the objective condition of the human heart right out of the womb. And the word in 2 Kings 2 translated “children” can also mean young men or servants, and is so translated elsewhere. Why can we not be certain of Jesus’ atoning provision for all if we are not all born condemned? And notice that Romans 5:18 says, “Therefore, as one trespass led to condemnation for all men, so one act of righteousness leads to justification and life for all men.” If we are to understand from this that all human beings are born condemned, than it should follow that all will be saved. And we know, from Scripture, that that is not the case. I do believe that we have a corrupted nature, that if we live long enough, we will sin. But it is actual sinning that God must deal with, not the potential for it. Just as it is in a bird’s nature to fly but it doesn’t come out of the egg flying, so it is in our nature to sin but we can’t actually sin until we are old enough to understand and choose it. Because sin at its core is rebellion…choosing to do what we want apart from God’s will. Hey Caroline. I hope you had a good Memorial Day. Question for you: in your opinion, what is an estimated general age in which a child has reach culpability for sins committed? I don’t have an opinion on that, Clint, except to say that I’m sure it’s different for every child.